Initially scheduled for a minimum 2.5-year primary mission, NASA's Spitzer Space Telescope has gone far beyond its expected lifetime -- and is still going strong after 15 years. Launched into a solar orbit on Aug. 25, 2003, Spitzer was the final of NASA's four Great Observatories to reach space. The space telescope has illuminated some of the oldest galaxies in the universe, revealed a new ring around Saturn, and peered through shrouds of dust to study newborn stars and black holes. Spitzer assisted in the discovery of planets beyond our solar system, including the detection of seven Earth-size planets orbiting the star TRAPPIST-1, among other accomplishments. 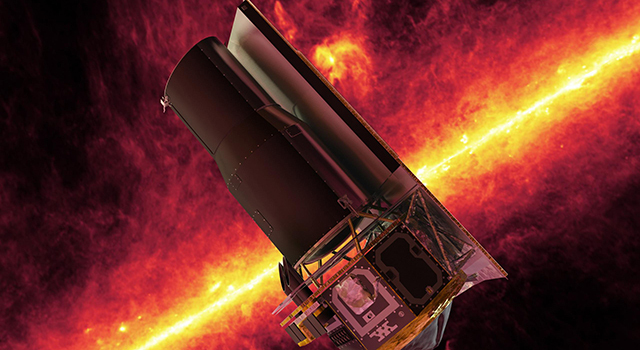 Initially scheduled for a 2.5-year primary mission, NASA's Spitzer Space Telescope has gone far beyond its expected lifetime -- and is still going strong after 15 years. Mission members reflect on some of Spitzer's most amazing and surprising discoveries. 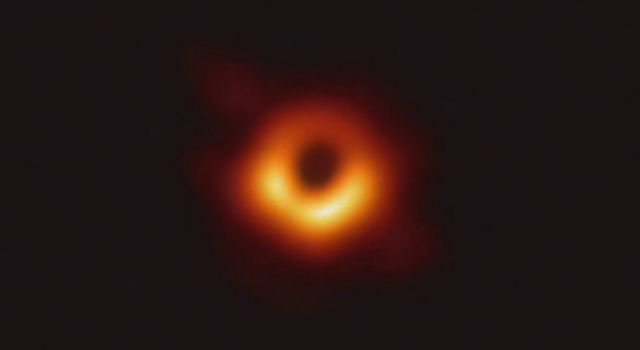 "In its 15 years of operations, Spitzer has opened our eyes to new ways of viewing the universe," said Paul Hertz, director of the Astrophysics Division at NASA Headquarters in Washington. "Spitzer's discoveries extend from our own planetary backyard, to planets around other stars, to the far reaches of the universe. 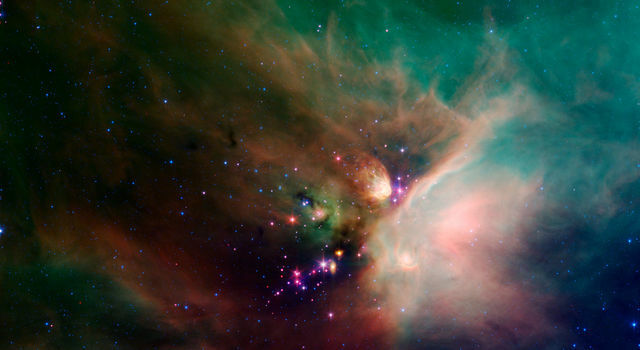 And by working in collaboration with NASA's other Great Observatories, Spitzer has helped scientists gain a more complete picture of many cosmic phenomena." 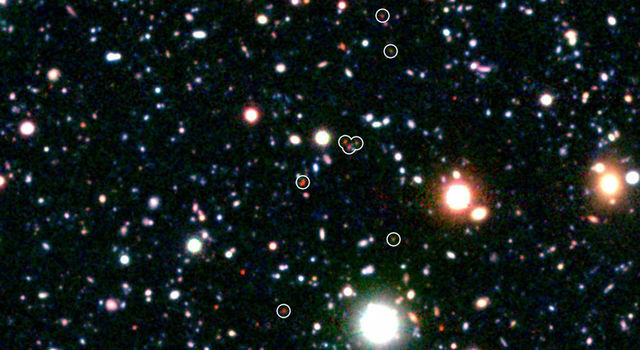 Among this population of ancient galaxies was a surprise for scientists: "big baby" galaxies that were much larger and more mature than scientists thought early-forming galaxies could be. Large, modern galaxies are thought to have formed through the gradual merger of smaller galaxies. But the "big baby" galaxies showed that massive collections of stars came together very early in the universe's history. Studies of these very distant galaxies relied on data from both Spitzer and the Hubble Space Telescope, another one of NASA's Great Observatories. Each of the four Great Observatories collects light in a different wavelength range. By combining their observations of various objects and regions, scientists can gain a more complete picture of the universe. "The Great Observatories program was really a brilliant concept," said Michael Werner, Spitzer project scientist at NASA's Jet Propulsion Laboratory in Pasadena, California. "The idea of getting multispectral images or data on astrophysical phenomenon is very compelling, because most heavenly bodies produce radiation across the spectrum. An average galaxy like our own Milky Way, for example, radiates as much infrared light as visible wavelength light. Each part of the spectrum provides new information." In recent years, scientists have utilized Spitzer to study exoplanets, or planets orbiting stars other than our Sun, although this was not something the telescope's designers anticipated. 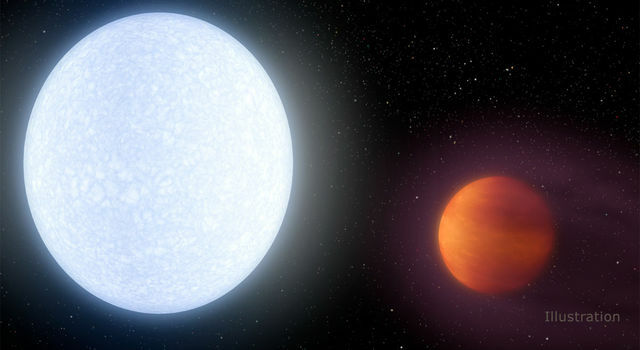 With Spitzer's help, researchers have studied planets with surfaces as hot as stars, others thought to be frozen solid, and many in between. Spitzer has studied some of the nearest known exoplanets to Earth, and some of the most distant exoplanets ever discovered. Spitzer also played a key role in one of the most significant exoplanet discoveries in history: the detection of seven, roughly Earth-size planets orbiting a single star. 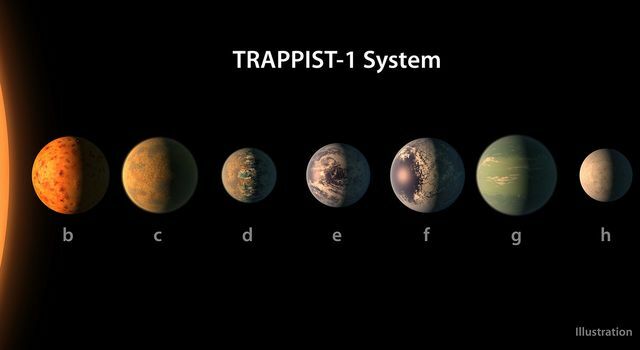 The TRAPPIST-1 planetary system was unlike any alien solar system ever discovered, with three of its seven planets located in the "habitable zone," where the temperature might be right for liquid water to exist on the planets' surfaces. Their discovery was an enticing step in the search for life elsewhere in the universe. "The study of extrasolar planets was still in its infancy when Spitzer launched, but in recent years, often more than half of Spitzer's observation time is used for studies of exoplanets or searches for exoplanets," said Lisa Storrie-Lombardi, Spitzer's project manager at JPL. "Spitzer is very good at characterizing exoplanets, even though it wasn't designed to do that." -- Recipe for "comet soup." Spitzer observed the aftermath of the collision between NASA's Deep Impact spacecraft and comet Tempel 1, finding that cometary material in our own solar system resembles that around nearby stars. -- The hidden lairs of newborn stars. 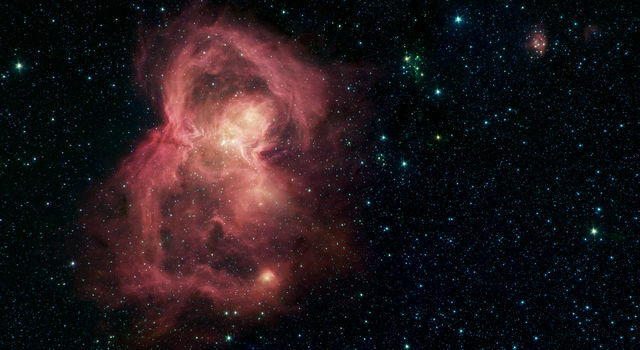 Spitzer's infrared images have provided unprecedented views into the hidden cradles where young stars grow up, revolutionizing our understanding of stellar birth. -- One of the most extensive maps of the Milky Way galaxyever compiled, including the most accurate map of the large bar of stars in the galaxy's center, created using Spitzer data from the Galactic Legacy Mid-Plane Survey Extraordinaire project, or GLIMPSE. 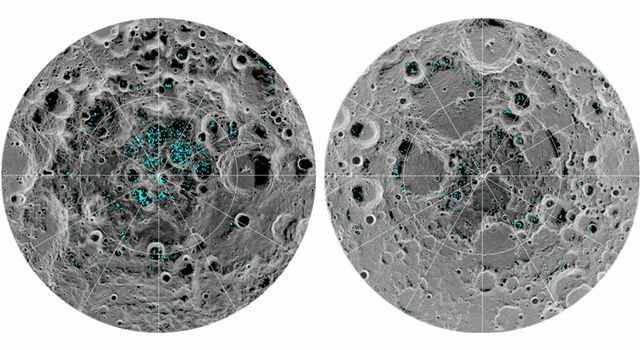 Spitzer's primary mission ended up lasting 5.5 years, during which time the spacecraft operated in a "cold phase," with a supply of liquid helium cooling three onboard instruments to just above absolute zero. The cooling system reduced excess heat from the instruments themselves that could contaminate their observations. This gave Spitzer very high sensitivity for "cold" objects. In July 2009, after Spitzer's helium supply ran out, the spacecraft entered a so-called "warm phase." Spitzer's main instrument, called the Infrared Array Camera (IRAC), has four cameras, two of which continue to operate in the warm phase with the same sensitivity they maintained during the cold phase. In celebration of Spitzer's 15 years in space, NASA has released two new multimedia products: The NASA Selfies app for iOS and Android, and the Exoplanet Excursions VR Experience for Oculus and Vive, as well as a 360-video version for smartphones. 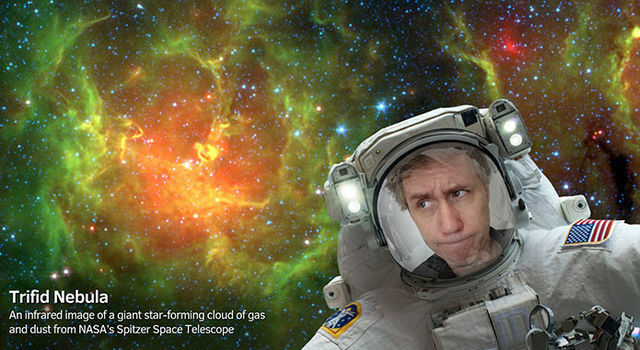 Spitzer's incredible discoveries and amazing images are at the center of these new products.